We’re happy to introduce a few updates to our Brand Monitoring tool you should pay attention to. Without further ado, let’s see what's new. First, we’ve embedded a new Backlinks tab in the Statistics report. As the name suggests, it will help boost your SEO rankings by tracking and managing backlinks. 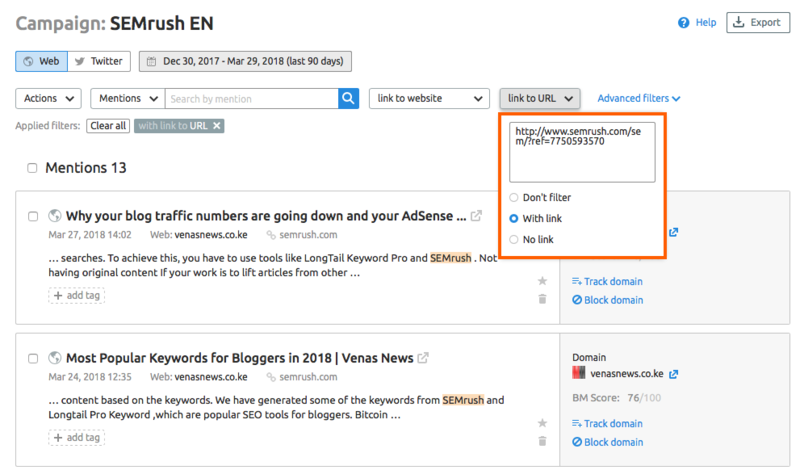 You can find two data blocks in the Backlinks tab. This handy chart will show you how many mentions with backlinks were found on a particular day. You can use this data for deeper and more detailed analysis. Click on the ‘PNG’ button to download your chart in no time. The new Top Backlinks table displays backlinks for a selected site by number of found mentions. The numbers of mentions in the first column are clickable; selecting them will take you to more detailed reports. You can export this data into a CSV document. Another new feature of Brand Monitoring is the Link To URL filter in the Mentions tab. 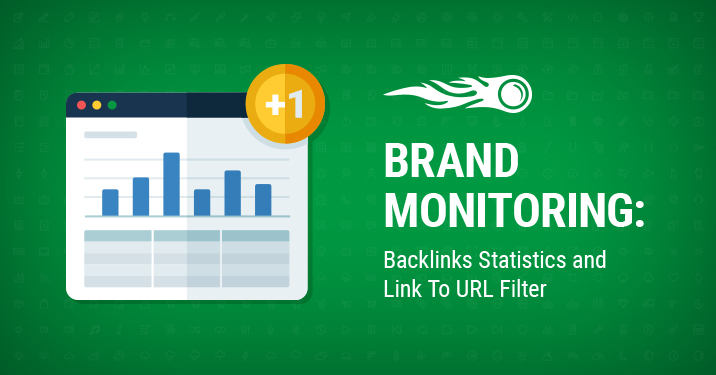 This filter allows you to view all brand mentions that contain a certain backlink. We hope you enjoy this update. Brand Monitoring is constantly developing to be as helpful as possible in your daily workflow. Don’t forget to share your ideas, comments and suggestions by emailing us at [email protected].